Friday, January 27, 2017 (Norfolk, VA): Boats Group, the leading global classifieds marketplace and marketing software solutions provider to marine brokers and dealers, today announced they have acquired YachtCloser.com, the yacht brokerage industry’s leading web-based contract management solution. “We are delighted to have completed this transaction with Boats Group and are excited about the opportunity to create a true end-to-end solution for the yacht brokerage and boat dealer industry. As a previous broker and dealer myself, I experienced first-hand the frustrations from managing multiple applications that didn’t communicate with each other. By bringing the industry’s leading administrative and marketing tools together, we can now unify the process. YachtCloser was created to help brokers contract and close more deals, and we look forward to realizing that mission even more,” said Brad Parker, CEO of YachtCloser. YachtCloser reduces the time yacht brokers and dealers spend filling out paperwork by over 60%, allowing them to enter information only once and populate all forms and documents simultaneously with the click of a button. YachtCloser has over 50 standard brokerage forms and contracts available for use, including all standard brokerage agreements and even state registration and coast guard documentation. “This acquisition is a first step in leveraging technology to deliver more value to our industry partners. Shared customers will soon have the ability to connect their inventory seamlessly between YachtWorld and YachtCloser, driven from one point of data entry, saving them time and money,” said Sam Fulton, CEO, Boats Group. 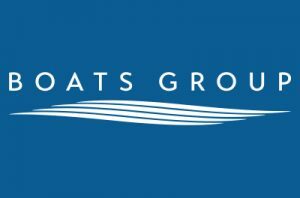 This announcement marks the first acquisition by Boats Group following the company’s recent purchase by funds advised by Apax Partners. The sale of Boats Group, which took place in August 2016, was among the largest sales in the marine industry. To find out more about YachtCloser, visit: www.yachtcloser.com. To find out more information about Boats Group, visit: www.boatsgroup.com. Boats Group is the leading global classifieds marketplace and marketing software solutions provider to marine brokers and dealers with an extensive brand portfolio which includes the four market leading web portals including YachtWorld, Boat Trader, boats.com and CosasDeBarcos. YachtCloser is the yacht brokerage industry’s leading web-based contract management solution. YachtCloser provides a simple, seamless connection between buyers, sellers, brokers and yacht services through a sophisticated, yet easy-to-use application engine. YachtCloser provides the most accessible and robust transaction and administrative tools available, including financing and closing services. Their portfolio manages more than $10 Billion in active boat and yacht contracts nationwide.